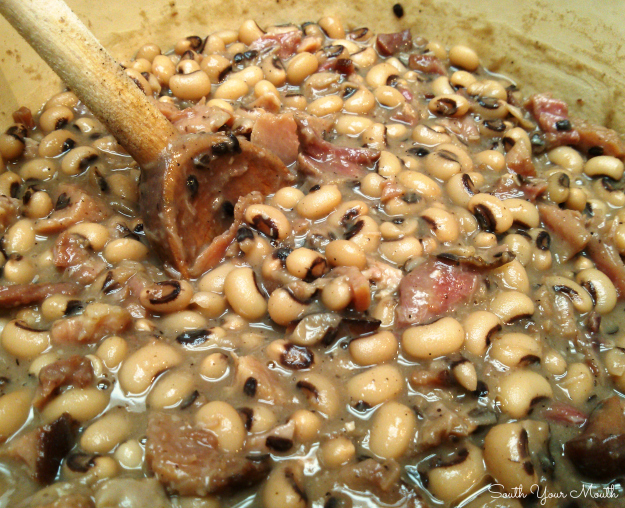 A slow-cooked recipe for traditional Southern black-eyed peas with ham hocks (or ham bone). Something amazing happened this weekend, y’all! My Canadian, meat-and-potatoes husband ate black-eyed peas! And he LIKED them!!! Husband doesn't like cooked vegetables. Well, he’ll eat corn and potatoes but they don’t really count in my book. And he’ll eat a salad or other raw veggies but that’s about it on the veggie home front. And it drives me bonkers! I thought I might be able to lure him in to tasting black-eyed peas after he shocked me last week by actually eating some canned pinto beans. It was that last stretch before payday and I’d run out of fresh veggies to serve with supper so I heated up a can of pintos. Knowing how much he likes raw onion, I diced some up and put them on the pintos. He sat down and looked at his plate and immediately turned his nose up. I reminded him that he eats pintos in chili and to just shut up and try them. And guess what? He cleaned his plate! Figuring I might be able to cash in on the whole legume thing, I thought I’d press my luck with some black-eyed peas this weekend. And he ate those too!!! He’s going to have a healthy colon if it kills me! Soak peas in 6 cups water overnight (10-12 hours). Drain peas, rinse well with cold water and then drain again. Set aside. In a large stock pot or Dutch oven, sauté onion in butter until onion is translucent and tender. Add 4 cups water, ham hocks, 1 teaspoon salt, pepper and drained peas to pot. Cover and simmer over medium-low heat for 4 hours, stirring occasionally. Remove ham hocks and trim off ham; discarding bones, cartilage and skin. Add ham pieces back to peas and stir. Add more salt to taste then simmer peas on low for one additional hour. If you have more liquid than you’d like, simmer on medium heat, uncovered, until liquid has reduced to your liking. I usually serve mine over white rice with some fresh diced onion sprinkled on top but you can serve them on their own as well. The amount of salt you need really depends on how salty your ham hocks or other seasoning meat is. The peas will continue to draw salt from the meat as they cook. Start with 1 teaspoon and then salt to taste the last hour of cooking. I like mine on the salty side because I always serve them over rice, which is relatively bland. Use ham hocks, a leftover ham bone or even a smoked turkey leg. If you can’t find or don’t have any of these, season with several drops of Liquid Smoke. I cook mine in the crock pot.. that's the only way I will have them... very good. How long did you cook the peas? Is that sliced bacon in the picture? No, it's pieces of ham. Glad to know other southern girls eat rice under peas. We grew up having rice with nearly every pea or bean known to man. My husband wasn't from rice country so I had to teach him all about peas and rice. To be such a simple recipe, these peas had the best flavor I have tasted in a long time. Great job! Northern girls do black eyed peas and rice too. My husband loves them even more than I do, and we're both born and bred in the Pacific Northwet. Yeah, I leave the 's' out on purpose. Been a long winter. I've only eaten red beans and rice. My Arkansas momma and her relatives always cooked up a big cast iron skillet of corn bread. Break that up and spoon the peas over the corn bread... good lord, there is nothing better! But always leave some corn bread to break up in our milk too! Brined the peas instead of soaking in plain water (1.5 tablespoons of salt, 8 cups of water), and used two very small smoked turkey legs instead of ham hocks. Peas were the best ever--thanks for such a superb but simple recipe. Sounds delicious. I'm definitely going to try it. Black-eyed or crowder (field) peas -- they are all fine with me. Can you imagine having a father from Mississippi and a mother from Denmark - what a blend of cuisine we had! This is a great recipe--much simpler than another that I tried and far superior! I brined the peas instead of soaking them in plain water, and used a smoked turkey wing instead of a ham hock. They were perfectly creamy and delicious. Thanks for a wonderful recipe. You cook like my mama cooked. Simple, simple. Not a lot of fancy stuff. I cook my peas in chicken broth instead of water. Taste really scrumptious. Can I use bacon instead of ham hocks? I use smoked turkey tails. The flavor iis delish! Will frozen peas compromise this recipe if used? The instructions say to cook the black eyed peas for 4 hours, is that time correct? Actually it says 4 hours, trim the ham, and cook an additional hour. For a total of 5 hours. Surely you don't cook these for 5 hours !!!!???? I recently found your site and I love it. Your husband reminds me of my husband. 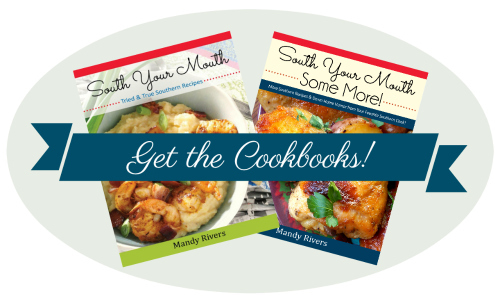 My husband is from England and I am still working on teaching him to eat Southern. I am from North Carolina and I tend to cook a lot of things like you do or at least about the same way. I'm glad you found your way here.. it's good to have someone around who understands life at my kitchen table! I really understand....I grew up on this great food and love it. Do frozen peas cook faster? I'd cook frozen peas about 3 hours. My son and your husband could be food twins. Anthony loves corn, potatoes, and salad but likes broccoli, cauliflower, and carrots raw. He will eat black eyed peas and beans He's not a fan of most other veggies, especially cabbage, okra, and other "mushy" vegetables. I pinned this and will make it soon. I've never added butter to my peas. 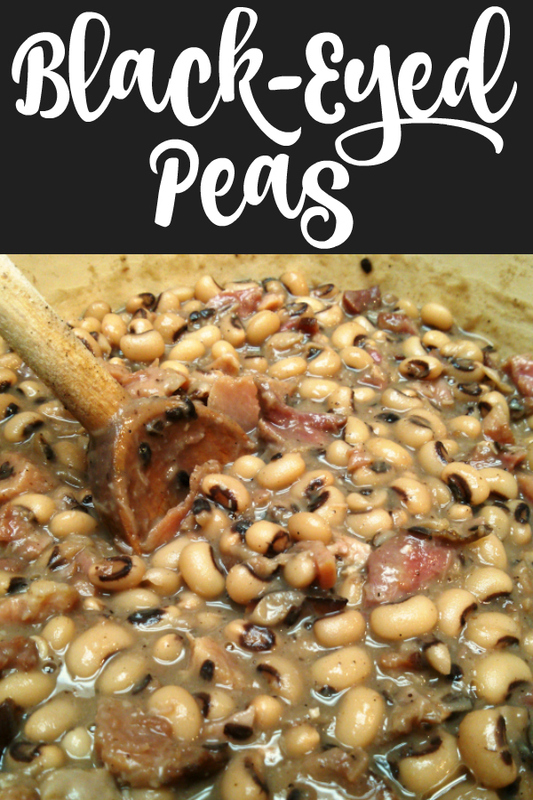 I'm new to cooking but I live in the south born and raised, can I use frozen black eyed peas n the hambone is frozen... How long do I cook these do I need to let the hambone thaw out a little or what sorry if this is a stupid question first time making them. Yes to all! You will only need to cook about 2 hours on low. Add just enough water to cover peas. Would 4-5 hours in the crockpot work? Says 8-9 but sounds like,a lot. My peas look like they will be mush in 5 hours. Should I cut the cook time to 3 hours remove the ham bone and then cook for an additional hour for a total of 4 hours?